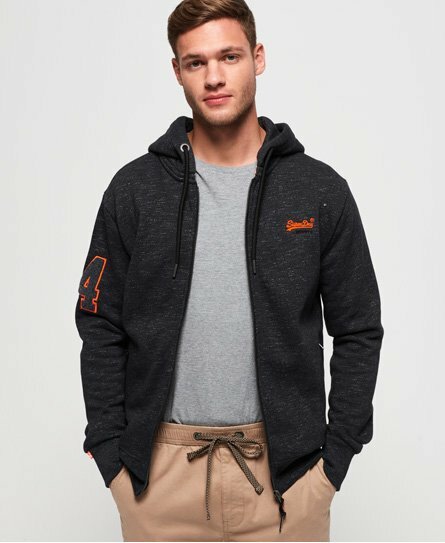 Superdry men's Field zip hoodie from the Orange Label range. This hoodie features a main zip fastening, drawstring adjustable hood, ribbed cuffs and hem and two zip fastened pockets. This hoodie also features an embroidered Superdry logo on the chest and an applique number on one sleeve. Finished with a Superdry logo tab on one sleeve and the signature orange stitch in the side seam.